It turns out Peter Quill's mix-tape really is awesome. 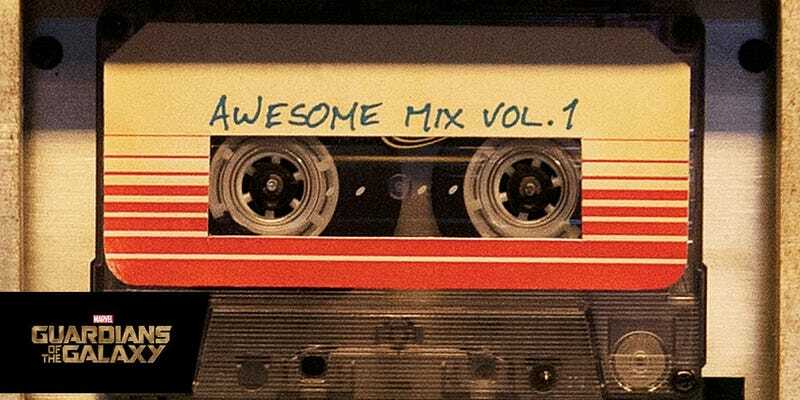 The Guardians of the Galaxy soundtrack — titled Awesome Mix Vol. 1 after Star-Lord's beloved cassette of '60s and '70s hits — has reached #1 on the Billboard charts. This makes it the best-selling album in America. Madness. According to The AV Club, the album sold over 100,000 copies last week alone, and is the first soundtrack to hit #1 while containing nothing but previously released music. Director James Gunn took a moment to gloat on his Facebook page, and since he was responsible for choosing the songs contained in the Awesome Mix, I'd say he has every right to do so. Ooga Chaka indeed.